In the game, players send their researchers to hot spots around the globe to gather the perfect bean. This may bring them into contact with other players who are also on the hunt, creating a crucial choice: Go it alone and continue to research, or join forces with that opponent, hoping to combine beans from both player's bags and share the score with a superblend. Going it alone with research can often prove useful as players spend time in the lab developing abilities that grant them an advantage. However, in VivaJava the bold taste of victory will go only to those players who are able to balance solitary research with cooperation amongst their fellow gamers. 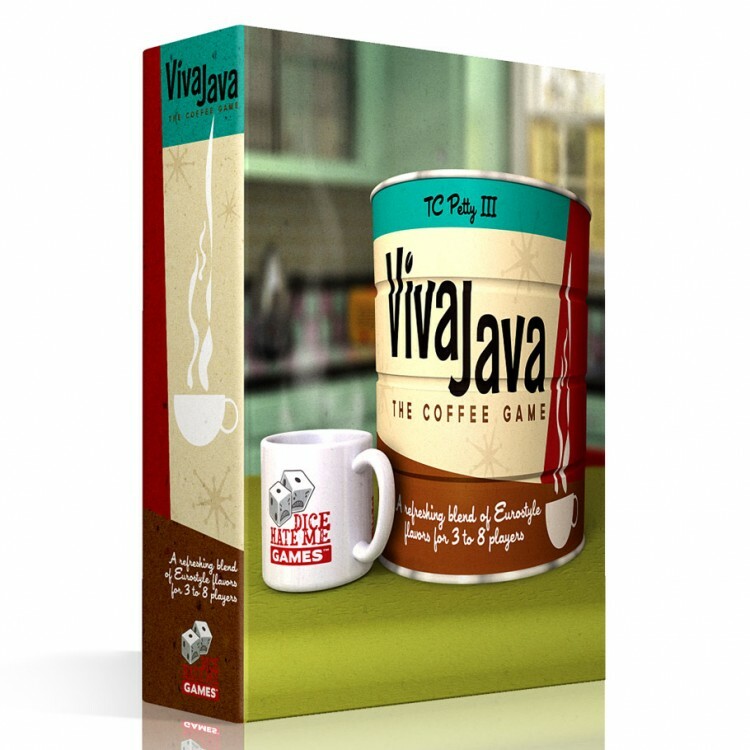 The rich depth of varying strategies and social play will satisfy most players' thirst for unique gameplay, but VivaJava has even more brewing. This flexible game can accommodate up to 8 players, and through smooth simultaneous actions, play is quick and constant with little downtime.